Expressions of Interest are sought from Victorian dancers and dance film makers for a six-week residency in Kolkata India, in late 2019. 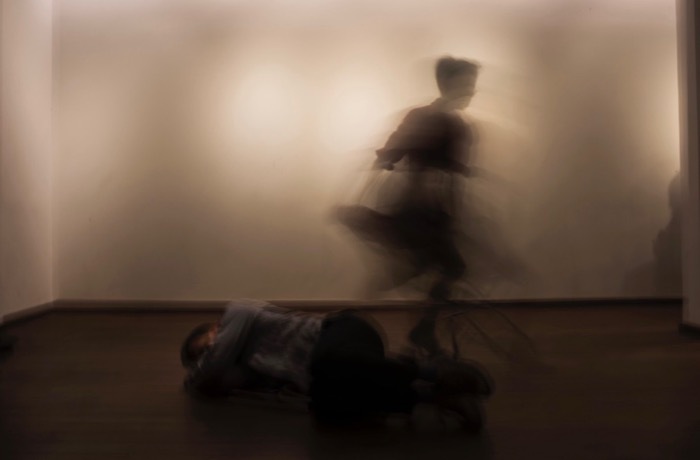 Asialink Arts and The Pickle Factory will select two artists, a dancer and dance on film artist (or videographer), to jointly undertake a creative exchange residency with the Pickle Factory Dance Foundation in Kolkata from late October – mid December 2019. Artists will experience a period of sustained engagement with their own practice in a context that poses global questions of connection and disconnection. Additionally, in ways relevant to their respective practices, both artists will engage with the local creative community fostered by Pickle Factory through unique community engagement models. The selected dancer will work with the Pickle Factory and the local dance community to test ideas, collaborate, and experiment with new work and models of audience engagement over the course of the residency. The possibility of working with a small group of local movement artists to devise work in non-formal spaces and situations has been provided as an example of the type of engagement desired. The film maker will create a film documenting the experience and will also have the opportunity to work with the Jadavpur University digital dance archive. Workshops about documenting and filming movement are proposed. By embedding the creation of a film about the project Asialink Arts and the Pickle Factory hope to document the unique and the unexpected and create an artwork that endures, capturing the more ephemeral project elements and ideas developed and tested whilst in Kolkata. Residency activities will be part of Pickle Factory’s Season Two in November 2019. This program has previously included performances, talks, workshops, dance in public spaces and exhibitions. Specifically, it is requested that both artists engage with a proposed site-specific work entitled INTERSECTIONS that is scheduled to take place intermittently between October and December. Pickle Factory will also arrange the opportunity for internal travel to work and collaborate with other creative communities in the region. A grant of AUD$8,000 to each artist which is intended to cover airfares, ground travel in India and daily living expenses for six weeks. Pickle Factory will provide accommodation in Kolkata, production support and connections with local creative communities. Submissions are due by 5pm April 26 2019 and will be assessed by a skilled curatorium of choreographers and dance producers. The successful applicants will be notified before May 31 2019. Project activity in Kolkata occurs across 6 weeks between late October and mid-December 2019. The film outcome is to be completed within six weeks of the residency, ready for presentation and screening in multiple platforms from February 2020. Together, the Pickle Factory Dance Foundation and Asialink Arts wish to strengthen the connection and exchange in the arts between Australian and India, and especially with Kolkata, a city with a history of cultural and artistic ferment. This initiative of Asialink Arts is designed to foster collaborative and cross disciplinary art making, site-specificity and artistic resilience. To create & implement stimulating programs that develop interested audiences. The two successful applicants will have professional experience in dance or dance film-making and each will have a clearly articulated field of practice and exploration. They will have a demonstrable openness to working in and with different cultures and an ability to develop cross-cultural links by using various forms of engagement, responding to risk, uncertainty and ambiguity in creative ways. An interest in working in different physical spaces including outdoors is also relevant. The successful proposal will demonstrate commitment to deep cultural engagement. Awareness of the socio-political dimensions of dance is highly desirable, as is a specific intent to work in India (in Kolkata). Uniquely, this residency is for a collaborative ‘duo’ consisting of a dancer and dance film maker (or videographer) and the proposal must be submitted as a joint application. The dancer and dance film maker may have an established history of working together or the dancer and dance film maker may have a minimal pre-existing history or none at all, but a commitment to working together. Interested applicants should apply via SmartyGrants. 2. A 500 word statement responding to the Pickle Factory’s practice context and suggesting how you propose to test and refine models of artistic collaboration that explore cross-cultural and/or geographic boundaries. 3. Supporting material including CVs for each artist, up to three minutes of video and up to six performance images. This project and Asialink Arts are supported by the Victorian Government through Creative Victoria.